The nalgebra crate provides a wide set of mathematical primitives for linear algebra, computer physics, graphic engines etc. I'm not going to dive deep into the underlying math, there are a lot of tutorials and courses, some of them specifically targeted at the programmers. My goal for today is just a brief showcase of what we can do in Rust with nalgebra. In nalgebra there are several statically sized vector and square matrix types (for dimensions up to 6). The standard mathematical operators are overloaded, so all allowed kinds of vector/matrix multiplication should just work. In the example above we defined the rotation matrix ourselves, but there is a nice shortcut: the RotN type. The output is the same but this time we tell Rust what to do, not how to do it. Note that we need to wrap the angle in a single-element vector. We can use vectors to translate (move) points. A number of other operations are also exposed as top-level functions, such as transform(), rotate() along with their inverse counterparts. Dot product can be used to check if two vectors are orthogonal to each other. That happens if their dot product is equal to 0. As floating point comparisons are sometimes suprising, we should use the approx_eq() function. The cross product of two vectors is always perpendicular (sometimes we say normal) to both of them. As you can see from the example it is also not commutative. Normal vectors are very important in computer graphics for calculating light and shading of the scene. All of the nalgebra types we've seen so far have their higher-dimensional variants up to Vec6/Mat6 etc. But what if we want to go further? 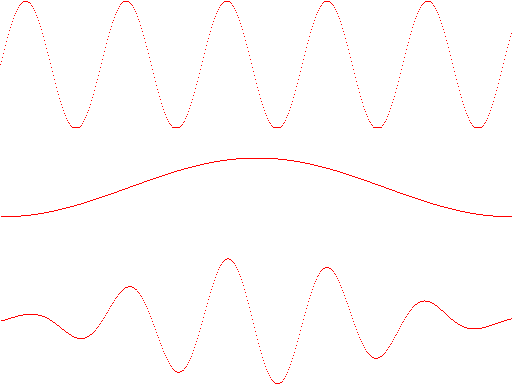 Very high number of dimensions is common for example in digital signal processing. In nalgebra there is a DVec type for that purpose. We can use the from_fn() mwthod to create a vector by generating each element in a closure. The window variable is a Hamming window; such window functions are a common preprocessing step in DSP. Code examples in this article were built with rustc 0.13.0-nightly and nalgebra 0.1.0. The header photo (taken by me) shows Platinum Business Park offices in Warsaw.